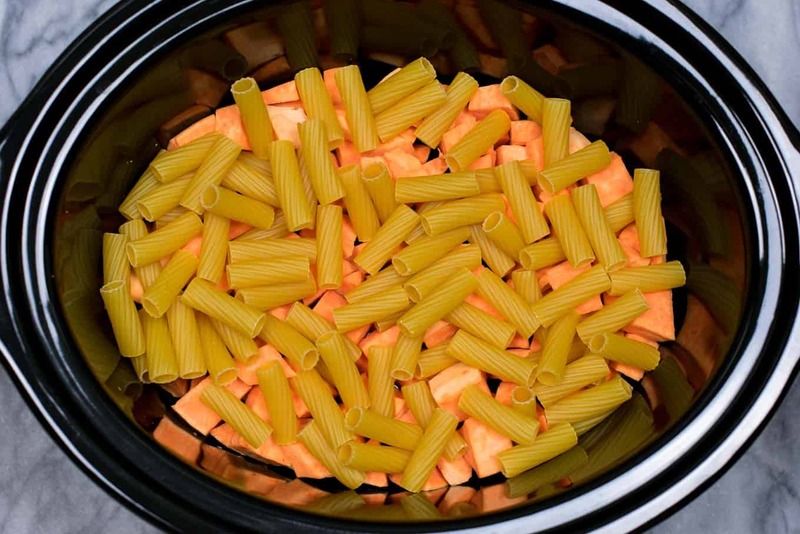 One of my absolute favorite easy dinners to make is my Easy Crockpot Baked Ziti recipe. Today’s recipe is inspired by my love for 1) the easiness of cooking with a crockpot and 2) not having to do any fancy prep work for dinner. 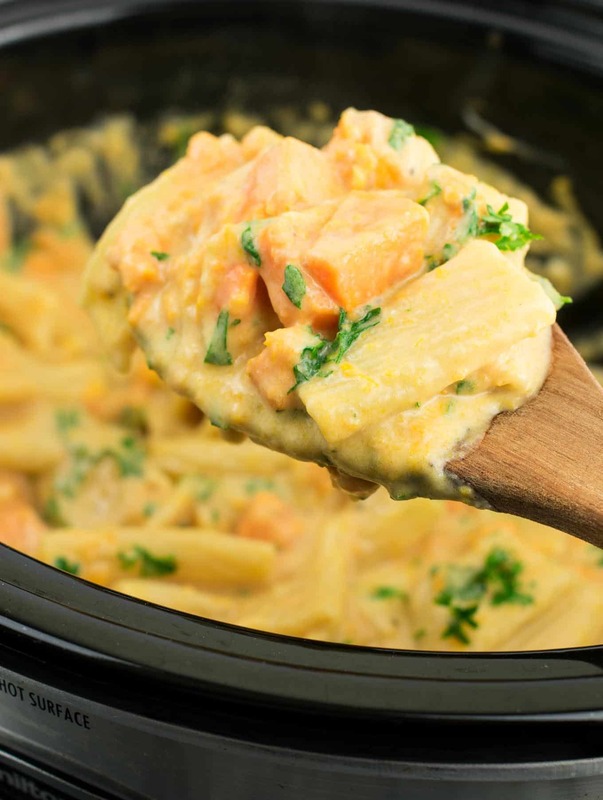 This crockpot alfredo pasta is almost embarrassingly simple, but you wouldn’t know it by how rich and flavorful the dish is! Honestly, if I was handed a big bowl of this pasta at a restaurant I would be coming back time and time again. 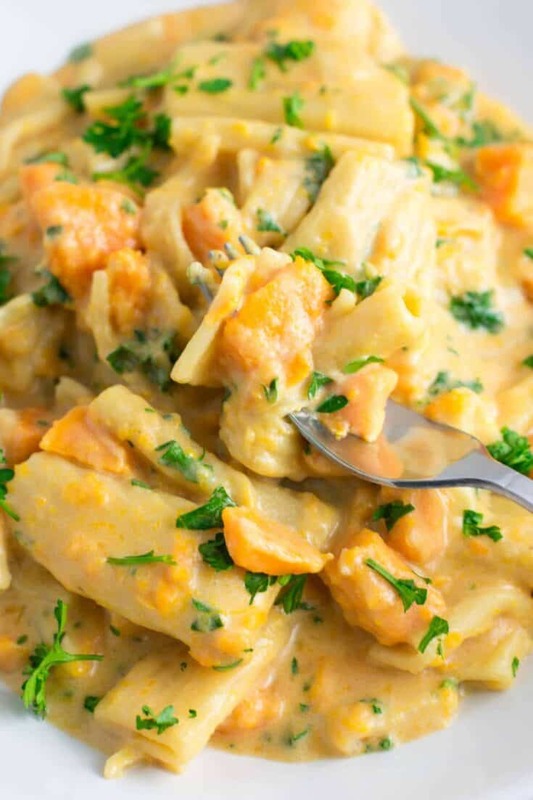 Sweet potatoes are one of my current favorite vegetables, and the star in this slow cooker recipe. 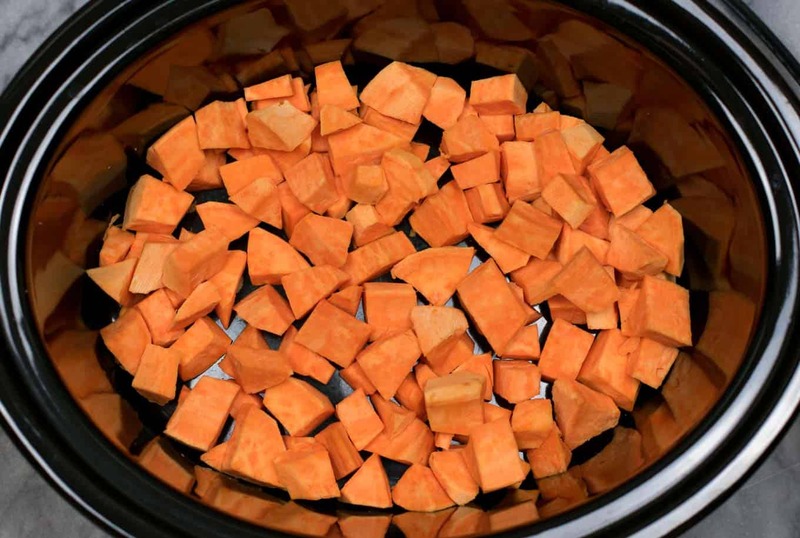 First, peel and chop up 2 medium sized sweet potatoes and place in a crockpot. Next, add 1/2 pound of uncooked rigatoni. That’s right – we don’t even need to cook the noodles, talk about easy! After that, add in alfredo sauce and vegetable broth and cook on high for around 2-3 hours. 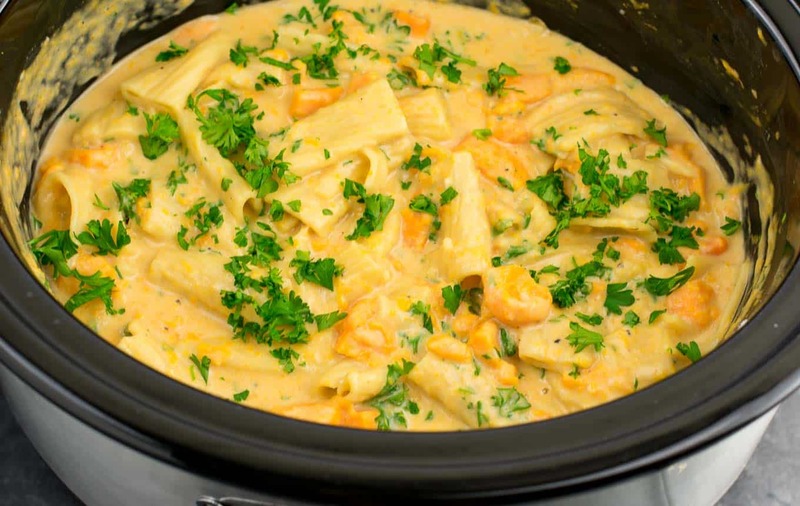 Ultra creamy, cheesy, comfort food in a crockpot. I really can’t believe how simple this recipe is. Completely no fuss and the prep work takes maybe 10 minutes total. Such a quick meal but your family would never guess you didn’t spend hours slaving away in the kitchen! If you like your noodles with a little bite to them, cook on the lower end of the time range (2 – 2 1/2 hours). We cooked ours for around 3 hours and the noodles were a little soft, but I didn’t mind it at all. Garnish with fresh parsley and dinner is served. I am already dreaming of the leftovers! 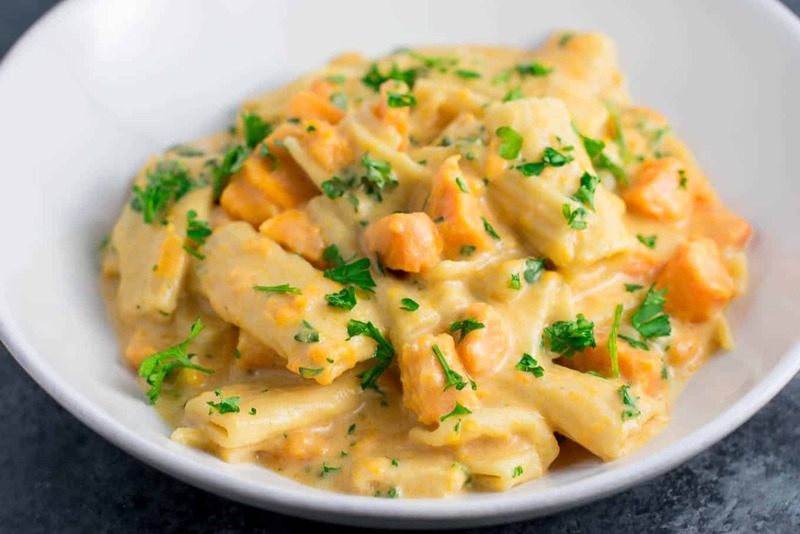 This will definitely be in my regular rotation of easy dinners when I have no time at all to cook dinner. Just another reason why my Crockpot is one of my favorite kitchen tools! 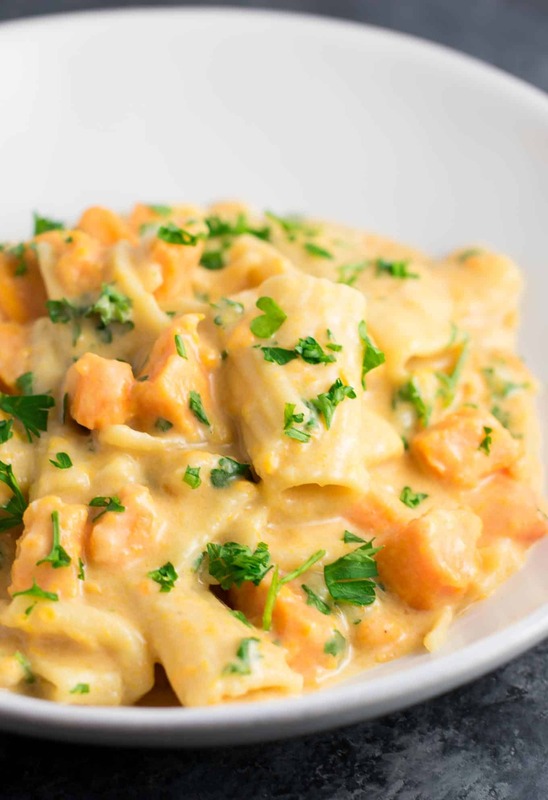 Easy crockpot alfredo pasta recipe with sweet potatoes. 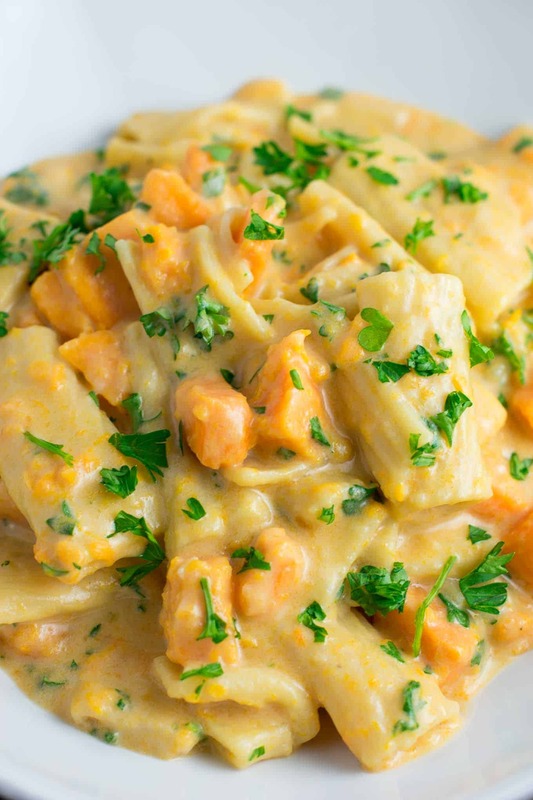 Just 8 ingredients and 10 minutes of prep to make this delicious slow cooker pasta!